2. A male client, age 68, admitted for treatment of a colon tumor, asks the nurse, “Do I have cancer?” Which response by nurse Gemma would be best? 3. Myrna, age 17, rarely expresses feelings and usually remains passive. However, when angry, her face becomes flushed and her blood pressure rises to 170/100 mm Hg. Her parents are passive and easygoing. The adolescent may be using which defense mechanism to handle anger? 4. A 22-year-old client is diagnosed with dependent personality disorder. Which behavior is most likely to be evidence of ineffective individual coping? 5. Cess is concerned because her breast-feeding infant wants to “nurse all the time.” Which of the following responses best indicates the normal newborn’s breast-feeding behavior? 6. To establish a good interview relationship with an adolescent, which of the following strategies is most appropriate? 7. Which of the following factors would have the most influence on the outcome of a crisis situation? 8. A female client who recently had a colostomy expresses concerns about her sexual relationship with her husband. Which of the following interventions should nurse Kate implement? 10. During labor, a client greatly relies on her husband for support. They previously attended childbirth education classes, and now he’s working with her on comfort measures. Which nursing diagnosis would be appropriate for this couple? 11. Nurse Levy is working in a support group for clients with acquired immunodeficiency syndrome (AIDS). Which point is most important for the nurse to stress? 12. During the initial admission process, a geriatric client seems confused. What is the most probable cause of this client’s confusion? 13. Which is the most appropriate nursing diagnosis for a grieving family? 15. During rounds, a client admitted with gross hematuria asks nurse Alma about the physician’s diagnosis. To facilitate effective communication, what should the nurse do? 16. Nurse Yvette refers a client with terminal cancer to a local hospice. What is the goal of this referral? 17. Which term refers to the primary unconscious defense mechanism that keeps intense anxiety-producing situations out of a person’s conscious awareness? 18. A 15-year-old female with a urinary tract infection is admitted to the facility. She tells nurse Lauren she hopes that she’s pregnant. 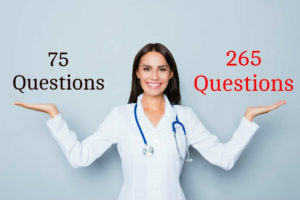 Which of the following would be the best response by the nurse? a. Does your mother know about this? c. Congratulations. Does the baby’s father know? 19. A client receiving chemotherapy has a nursing diagnosis of Deficient diversional activity related to decreased energy. Which statement indicates an accurate understanding of appropriate ways to deal with this deficit? 20. While in the facility, a client with obsessive-compulsive disorder saves all used medicine cups and paper cups and arranges them in elaborate sculptures in the room. At home, the client saves mail and magazines and makes elaborate paper sculptures from them. Which outcome would indicate successful treatment for this client? 21. The parents of a 9-year-old child in the terminal phase of a fatal illness ask the nurse for guidance in discussing death with their child. Which response is appropriate? 22. A chronically ill school-age child is most vulnerable to which stressor? 23. A geriatric client with Alzheimer’s disease has been living with his grown child’s family for the last 6 months. He wanders at night and needs help with activities of daily living. Which statement by his child suggests that the family is successfully adjusting to this living arrangement? 24. When developing a plan of care for a hospitalized child, nurse Pauleen knows that children in which age-group are most likely to view illness as a punishment for misdeeds? 25. An infant is hospitalized for treatment of inorganic failure to thrive. Which nursing action is most appropriate for this child? Answers and rationale . Keep checking http://nclexreviewers.com for more updates.